We are a Multi Award Winning, 3rd generation family painting and decorating company. We are fully qualified and capable of completing small or large residential projects as well as commercial projects. Licensed and insured members of The Master Painters of South Australia. 2014 Winner of the Master Painters Association Awards of Excellence. Welcome to the Marks Painting Adelaide our goal is to be the exceptional painters and decorators in Adelaide and the whole SA. We have the ability to make over your commercial or residential space into something beautiful, inspiring and completely tailored to your wishes. Marks Painting is a leading name in industry have over many years painting knowledge in commercial and industrial projects. Our expert painters deliver first class workmanship. Our specialized painters are flexible indeed, and they will design the most suitable work plan for you that are in tandem with your industry. It is our aim to minimize disruption to your business as much as possible. Our painters are very flexible and will design a work plan that suits your industry. At Marks Painting Adelaide we completely offer comprehensive domestic painting to all our customers needing the service in Adelaide. Get a FREE Quote. Call us now: 1300 293 816 or visit our website. Seamless liquid metal coatings allow a real metal finish to be applied over complex surfaces. think liquid metals in bars, hotels, restaurants, residential housing, art decor and signage. Our finishes can be applied just about anywhere such as, doors, wall panels, spashbacks, building cladding and facades, architectural features, statuary, kitchen and bathroom cabinetry, bath tubs, water features and fireplace surrounds. 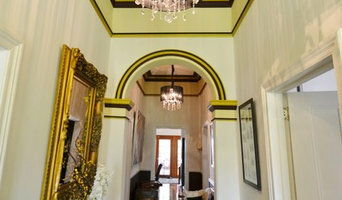 We are a small family run decorating business based in the Adelaide Hills. 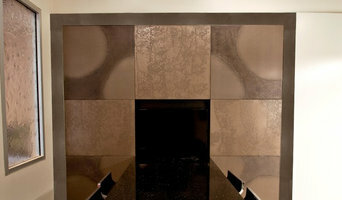 We specialise in all types of wallcovering installation and fine paint finishing. 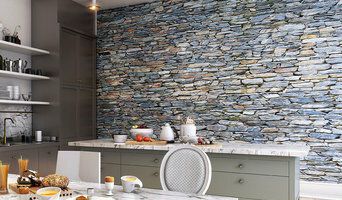 Creative Wallpaper is a leading Australian family owned and operated print and design company. Specialising in Custom Printing yours or our photograph / artwork design onto premium self adhesive removable wallpaper fabric. Providing services to interior designers, architects, photographers, corporate offices, retail spaces, residential homes and more. Adam wales painting and decorating are committed to creating the vision you have, and making it an enjoyable experience. our specialty is creating distinctive feature walls and wallpapers that are a reflection of your style and space. While also having the experience to achieve a fantastic finished product in many other areas. Adam and his team have over 15 years experience in the painting and decorating industry in Australia. Hanging wallpaper is a skill. Most painters aren’t wallpapers and most wallpaper hangers aren’t painters. Adam Wales Painting and Decorating are both. We blend professional painting with interior design knowledge to produce a masterpiece: this is our difference. DnA Painter’s slogan “Painting it’s in our Blood” is more than just a clever play on words as painting has been in our family for over three generations. It started in the 1950’s with my Grandfather operating a successful painting company for many years before being taken over by his son (my uncle). I undertook my apprenticeship under my uncle before establishing my own painting business. When my son began his apprenticeship with me, I decided to change the name. DnA Painters came about using the first letters in our names, David & Adam. Painting is in our blood, and our names are the company’s name. When your choosing an Adelaide Painter for your next job, look no further than DnA Painters for a professional, friendly, and detailed job. Paint Professionals takes pride in delivering a professional service – on time, every time. We’re so confident that you pay only after you’ve approved the work. With over 15 years of experience, Star Painters Adelaide focuses on a job until the very end. With pristine attention to detail, your project is going to be handled with care. With a strong attitude towards safety, we at Star Painters Adelaide strive to meet the need of our customers. Whether the project is big or small, we will show you that, with the highest level of risk assessment and project planning, you are going to be 100% satisfied with the end result. 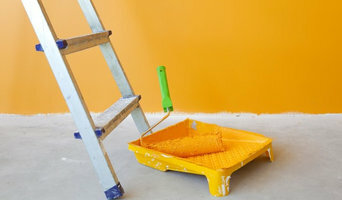 Star Painters Adelaide trained painting contractorswork with you to realize your vision. Our competitive prices are going to make you happy because we pride ourselves on giving every customer our best regardless of the project. Star Painters Adelaide gives you all the attention to detail you deserve. In the end, you will not be disappointed with what we accomplish. There is never a bad time to want to change things for the better in your home or business. 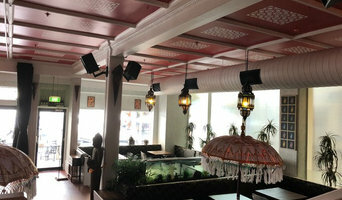 Star Painters Adelaide services vary with each project that you need completed. However, with competitive prices on our side, you have the chance to get a professional job completed at the fraction of the cost! We all want to save money, but never want to lower our standards. This is why we strive to meet the needs of every customer by giving a reasonable price and give 100% of our time to the project. Star painters Adelaide is among the best painting companies out there. With Star Painters Adelaide, you will be getting a service you need and deserve! Paint supply of non toxic products made from natural and non toxic ingredients. No use of dangerous solvents - like mineral turps, ammonia. No azo pigments, Natural fillers only, no dangerous additives. Our paints are amongst the most environmentally friendly products on the market. We have taken great care to select modern ingredients which complement the original formulas. If painting your walls or installing wallpaper aren’t your favourite jobs, it’s very well worth considering hiring a professional for it. Not just for the obvious time-saving, but there’s actually more to a good paint or wallpaper job that you might think! Whether you’re looking to paint your bedroom or living room, you’re always starting from the all-encompassing question of which colour to paint your walls or which wallpaper to choose. The next challenge is selecting the best product for your needs. And don’t even mention the work involved in preparing the wall and applying the paint so it lasts. If you’re looking for a professional house painter or wallpaper installer in Green Hills, South Australia you’ve come to the right place. You’re sure to find the best painter for your job in the Houzz professional directory. Here on Houzz, you’ll also find Green Hills, South Australia professionals who can create a more creative wall design for your home, including wall murals or custom wallpaper. Murals drawn by an artist will often require a large space, but it’s worth investigating if you’d like a one-off feature wall every visitor will remember. If you’re after advice rather than application, here you’ll also find colour specialists that can help you in your quest for choosing the right paint colours or wallpapers for your abode. Scroll through this page to find painters and wallpaper installers in Green Hills, South Australia. You can browse their latest projects, read reviews to see how other homeowners rate their work, and message them directly.